There's something intriguing about a peninsula, something that compels us to follow it as far as we can go, just to see what's at the end. In Southeastern North Carolina, there's a particularly satisfying peninsula to be pursued, and many who follow it to the end return, to vacation or even to live. 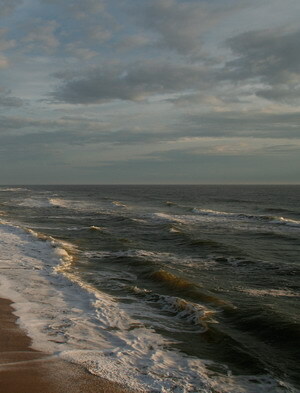 The Cape Fear Peninsula is formed by the Cape Fear River to the west and the Atlantic Ocean to the east. Wilmington sits on the east bank of the river, 20 miles north of the point where it empties into the sea. Driving south from Wilmington on Route 421-Carolina Beach Road-you hardly notice the land growing ever more narrow until you reach the Snow's Cut portion of the Intracoastal Waterway. Suddenly a high bridge carries you up and over the water and deposits you onto Pleasure Island. Merely crossing the bridge transports you to a beach community with a less-hurried lifestyle. Once on the island, if you continue south, you pass through three distinct areas. The further south you go, the more natural landscape you can see from the main road. At the island's north end, the town of Carolina Beach is filled with 1950s-style architecture: modest beach cottages raised above the ground, beach-front motels and even motor courts reminiscent of an earlier time. Mixed in with these are newer, more upscale homes and many condominiums, as well as a growing, vibrant central business district. 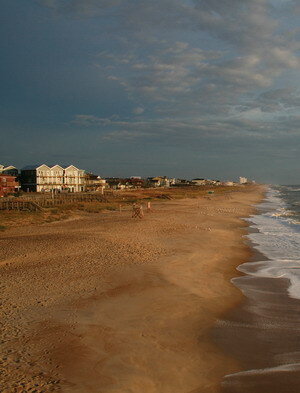 Carolina Beach adjoins the smaller and newer town of Kure Beach, which is almost entirely residential. 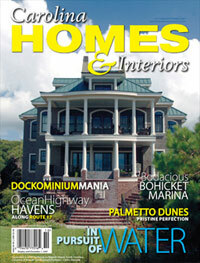 Here are newer and larger homes-some modest, some opulent-arrayed along the beach. The road follows the beach, offering glimpses of the ocean between houses. As soon as you leave Kure Beach, you are surrounded by natural local vegetation: Fort Fisher's signature live oak trees, twisted by the wind and native brush and grasses. The Fort Fisher State Historic Site and Fort Fisher State Recreation Area are at this end of the island. A turn to the left leads down Loggerhead Road to the North Carolina Aquarium; continuing to the right leads to the end of the island and the embarkation point for the ferry, which you can take to Southport, on the mainland. Pleasure Island is a friendly coastal community offering an attractive lifestyle and a wide variety of residential and vacation options. Single-family homes, condominiums and town houses are available in virtually any price range. And unlike many beach communities, an unusually high percentage of homes are owner-occupied. As a result, local activities and events are designed not just for visitors but for the people who call the island home. There is always something to do, whether you enjoy water sports, history or nature education. Home to about 5,000 year-round residents, Carolina Beach has reinvented itself in recent years, shedding its former reputation as being something of a party spot. The town has dedicated itself to creating a family environment. Improved services, attention to zoning, citizen involvement and landscaping projects now make Carolina Beach a more attractive destination. Vintage structures are interspersed with modern housing, offering a variety of choices. The town creates events for visitors and residents to enjoy all year long. These include free weekly family movies at Carolina Beach Lake Park, an annual chowder cook-off and Labor Day festivities. The annual season-long Island of Lights Festival includes multiple events,such as a Christmas Parade, Christmas Flotilla, tour of homes, winter lake-walking tour, sale of commemorative ornaments and New Year's Countdown Party. Carolina Beach has always been a mecca for people who love to fish from the pier, in the surf or from a deep-sea charter. It hosts annual mackerel tournaments, with prizes of up to $50,000 for the biggest fish. Local parks offer trails and activities for hikers, walkers, joggers and anyone wanting to explore a maritime forest complete with indigenous Venus flytrap plants. Smaller than Carolina Beach, with 1,600 year-round residents, Kure Beach is a charming community of people who appreciate the small-town feel and serene setting. Its remote location makes it ideal for vacationers, and it's ideal for swimming, sunbathing, windsurfing and kayaking. Civil War enthusiasts appreciate the earthworks at Fort Fisher, one of the largest and most historically significant earthwork fortifications in the South. The Union capture of Fort Fisher in 1865 was key to the outcome of the War Between the States. The fort now houses an interactive museum, offering guided tours, and the site is used annually by Civil War re-enactors. With few lights, the night sky at Fort Fisher is remarkably clear. The Cape Fear Astronomy Club hosts open telescope nights at the site, inviting the public to view special astronomical events. Adjacent to the site is a small North Carolina Underwater Archeology Branch museum, with exhibits on dive sites and maritime history from prehistoric times to the present. The North Carolina Aquarium at Fort Fisher has renovated and expanded its aquarium and is well worth a visit. One of three North Carolina aquariums, it has a 235,000-gallon saltwater tank and a half-acre freshwater conservatory. Committed to educating the community about the natural world, it offers an astonishing range of community classes and outreach programs, from open "touch tanks" for children to research programs tracking sea turtles outfitted with satellite transmitters. Pleasure Island is many things to many people: a perfect island getaway, a wonderful place for little vacations and big family reunions or a serene and beautiful community to call home. Yes, there is something intriguing about a peninsula.